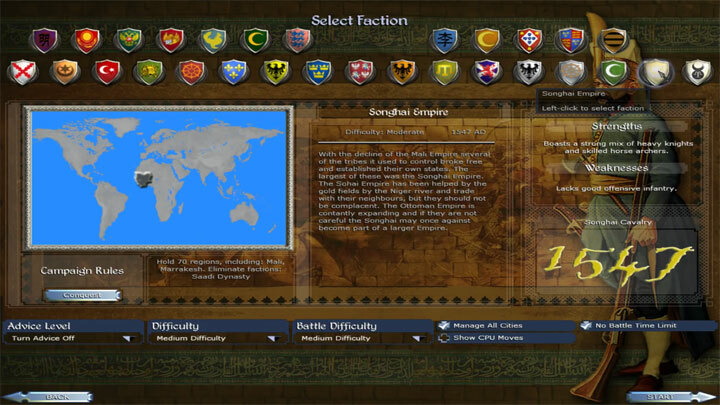 The file Eras Total Conquest v.2.3.7 is a modification for Medieval II: Total War - Kingdoms, a(n) strategy game. Download for free. Eras Total Conquest is a mod for Medieval II: Total War: Kingdoms, created by uanime5. Download mod (and unpack into 'Medieval II Total War' folder (default location ''C:\Program files\Steam\steamapps\common\Medieval II Total War'). If the BAT files are in the "Medieval II Total War" folder, and there is a "Conquest Folder" in the MODS folder. you did it correctly. (type either 'A', 'B', 'C', 'D', 'E', '1', '2', '3', or '4' and press 'enter'). Medieval II Kingdoms Steam Version Compatible. Medieval II Kingdoms Non-Steam Compatible.